Accuprobe offers prompt, high-quality and cost-effective probe card assembly services using a wide range of cantilever technologies. Blade probes using metal, ceramic, z-adjustable and blade spring probes are assembled using in-house PCAM assembly stations. More than 100 probe card types are in stock, from 2" round to 12" rectangular, to cater for diverse customer requirements. Standard 4-1/2" probe cards able to be used in 50mm to 200mm wafer chucks are among the available styles. Epoxy ring probe cards from a few to 500 needles are in regular production at Accuprobe. Semiconductor cards with pitches down to 75µm, designs using multi-tier needles, and multi-die configurations can be produced. Chip resistor probe cards from 0201 to 2512 size are a specialty of the company and are shipped to customers worldwide. 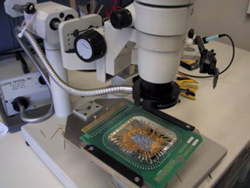 Accuprobe uses in-house PTS-100 planarization test stations for precise z-planarity adjustment of assembled probe cards. The PTS station can detect planarity variations in the low microns and ensures that probe card assemblies manufactured at Accuprobe perform at the highest level of customer need. 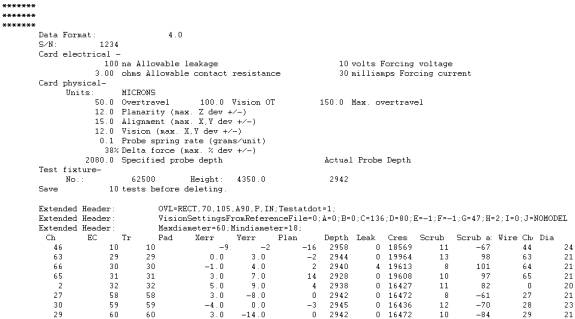 For extremely sensitive probe cards with close pitch or very small bond pads, Accuprobe can perform a probe card analysis of the card to verify alignment, planarity, leakage, Cres and other factors to ensure that the card can be immediately placed into productive service upon receipt. 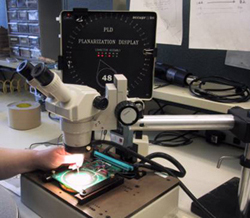 The probe card assembly services of Accuprobe caters for customers without in-house assembly expertise and who require cost-effective and high-quality probe cards in a short time frame. Contact Accuprobe today for all your probe card assembly needs.